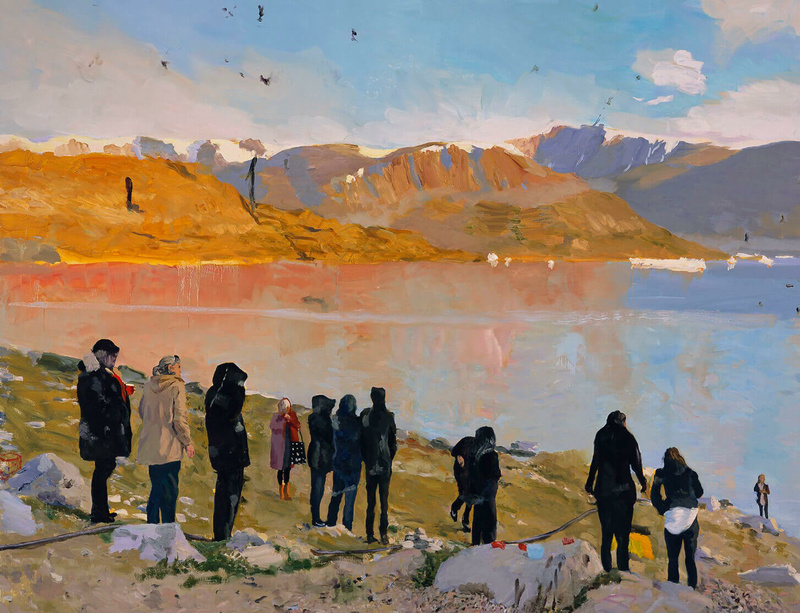 An exhibition of a new series of work by Liu Xiaodong, ‘Uummannaq’, opens today at the Louisiana Museum in Humlebæk, Denmark. The series was created on-site during an expedition to the town of Uummannaq on Greenland’s western coast in 2017, and consists of 12 large-scale paintings alongside 18 ink drawings and a number of small format studies and portraits, that highlight aspects of the town’s everyday social life amidst its magnificent natural surroundings. Having set out with a poetic notion in mind of what he would encounter in Uummannaq, Liu quickly discovered a way of life that was at once thoroughly modern and set in its age-old traditions. Prominently featured in the series are Liu’s depictions of the children he met at Uummannaq’s orphanage - the world’s northernmost. Liu spent much time with the children, following them in their everyday activities, and the resulting paintings see his close observations of people and objects take priority over the grandeur of the surrounding landscape. The works on show are accompanied by Liu’s diary entries from his time in Uummannaq, and a short film documenting the trip made by the artist’s close friend, director Yang Bo. ‘Uummannaq’ is on view until 10 June 2019. Visit the Louisiana Museum website for further information. Image: Liu Xiaodong, Winter is Gone, 2017, Oil on canvas © Xiaodong Studio, Courtesy Faurschou Foundation.